The Invasion of Texas – Coming to a Theater Near You Soon! – You Do Hoodoo? The Invasion of Texas – Coming to a Theater Near You Soon! I’ve just come up with a great idea for a movie, an action packed contemporary shoot-‘em- up extravaganza and cautionary tale mixed into one, Masada meets Waco, a tale of states right patriotism, the importance the 2nd amendment, and the nefariousness of a godless federal government led by a closet Muslim who signs executive orders as frequently as Phil Mickelson signs autographs. I’m going to call the movie The Invasion of Texas. Here’s a blitzkrieg scenario. 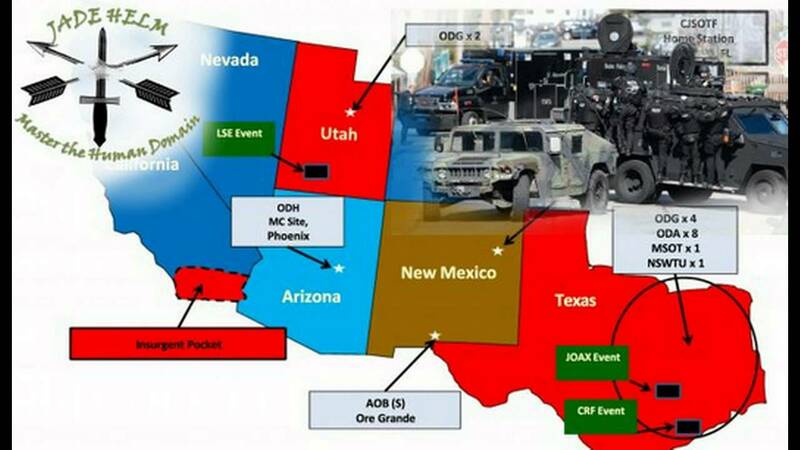 The federal government plans a massive multi-state military simulation exercise called Jade-15, ostensibly to train the army for foreign desert engagements; however, the entire operation’s real goal is to take over Texas, place it under martial law, and to confiscate all weaponry from Texas’s citizenry. The movie opens with the governor channel surfing from abomination to abomination, the Bruce Jenner Diane Sawyer interview, a Fox News special on Benghazi, Miley Cyrus twerking. His cell’s ringtone “Don’t Mess with Texas” goes off. It’s Chuck Norris (playing himself) asking for an emergency meeting. Using the image above, Morris explains what the feds are really up to. The governor calls up the national guard and gives Norris permission to go underground. The movie flashes back and forth from White House/ISIS planning sessions and Norris planning sessions. Employing carrier pigeons to evade the prying eyes and ears of the NSA, Norris assembles a ragtag group of Dirty Dozen-like patriots insurrectionists (e.g., Ned Nugent, Sarah Palin, etc) who develop an elaborate plan to thwart the bad guys, i.e the USA. Jade-15 is launched, and the Texas Patriots counter the attack but find that their shotguns, hunting rifles, snub-nose revolvers, and even their AK-17s are no match against the tanks, F-17 Fighters, attack drones, Navy Seals, Green Berets, Army Rangers, and nuclear arsenal that the USA has at its disposal. 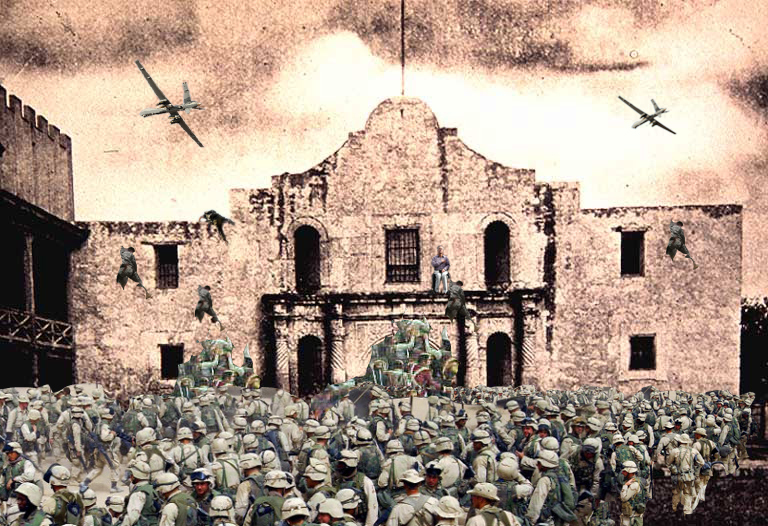 the Lone Star State defenders, including the governor, are driven back to San Antonio where they seek refuge in the Alamo. In the last scene the governor Custer-like with a pistol takes down Indian American soldier after American soldier until his handgun jams and the camera mercifully pans skyward into a setting sun. 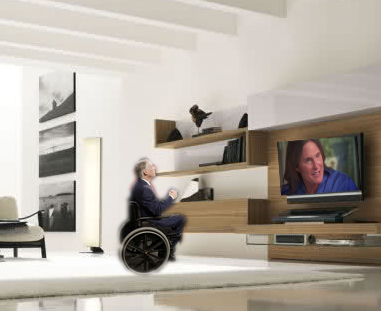 This entry was posted in satire and tagged Chuck Norris, Governor Greg Abbot, Jade-15, Texas Invasion. Bookmark the permalink. Pingback: That Was the Year That Was | You Do Hoodoo?